Arjan Rietvink Productions was founded in 1996. We are proud to say we master most of the important CD-compilations released in the Netherlands. We also provide the audio mastering and/or authoring of music DVD’s and Blu-Rays. For example Qlimax, Sensation, Defqon 1 and Armin Only, to name but a few. And a lot of music producers have found their way to our worldwide online mastering service. Among them are artists from labels like Armada Music and Spinnin’ Records. In the early 90’s founder Arjan Rietvink produced mixes for the ‘Soulshow’ (the famous Soul-radioshow produced by the Dutch radio legend Ferry Maat). He also did some work for DMC (The legendary Disco Mix Club) and Radio Veronica. Since all this was a big success Arjan soon started Arjan Rietvink Productions (ARP), producing compilation mix CD’s for record companies. Also the service was expanded with mastering for vinyl and CD. A few years later we started an online mastering service. 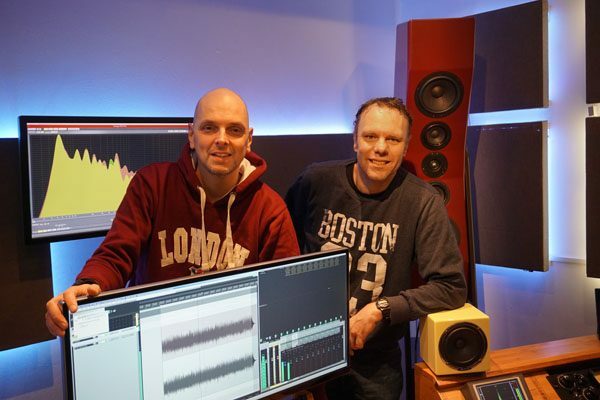 In the late 90’s mastering engineer and close friend Marco joined the team. Nowadays 7 people are working for ARP, making sure we can provide a flawless service to our customers. We even develop our own mastering tools so we can offer a faster and affordable service. Our goal is to make high quality masters for the music (entertainment)-industry for a reasonable price. Try our online mastering service with personalized service and competitive rates starting at 45 euro.